"As leading removals specialists in Sydney we understand that moving can be stressful so we offer tailor made removals services to suit the specific needs of our clients. Give me a Quote ! "Unbeatable Removals qualified and professional removals company offers all types of house and office move and relocation service through a simple call. Packing and unpacking services are also availed to the clients on request. We are insured company who has Many years experience in the field of removals Give me a Quote ! We are the most trusted and experienced piano movers across the Sydney. Our specialist team relocates the full range of the piano. Whether it’s suburb to suburb, or state to state moving, you can trust our friendly team to handle it with the care it deserves. 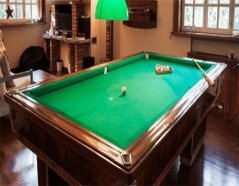 We understand that pool tables are an item which require safe and professional handling during relocation. We have an experienced team to ensure that every aspect of the move is carried out with the utmost care. Welcome to Unbeatable Removals, a removals company that cares about the clients, offering them a stress free and even enjoyable moving experience. We have helped our clients move home or office from all over Wollongong, Newcastle, Canberra and all over Australia, from our head office in Sydney. We take pride in offering an efficient and effective, office and home removal service, with a growing network of highly satisfied customers. Our highly experienced team can handle your belongings with the utmost care and consideration. We work all year round to help you with your move, whether it is too large or too small. Whether you want help with whole business or property relocation, or just need a selection of items moving securely, our experienced team are always on hands to help you. It goes without saying that there’s always something else you’d rather be doing than packing up your belongings when you move. We have a team of expert removalists in Sydney that can work in all areas of Australia to move you, your home, office or furniture from anywhere in Australia. 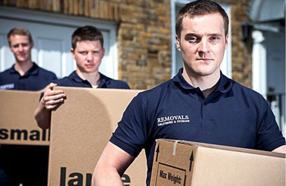 Our removals experts can guarantee that you’re in safe and caring hands. Maybe you’re moving to the next street or across the Sydney – don’t worry. The removals team here at Unbeatable Removals have it covered. The trusted team of Unbeatable Removals understands your circumstances and requirements are unique for the move. So, our trained movers will work with you to tailor the best services to suit your budget and individual needs. From a small office at home right through to a multi-site business relocation, we have the skills and experience you need for a smooth running move. From getting an initial quote, to the final work done, you’ll find us charming and easy to deal with every step of the way. If you are looking for experienced house or office removalists in Sydney or the surrounding areas, contact Unbeatable Removals today. We aim to disrupt your life as little as possible during the entire process. Our removalists are the highest quality of expert professionals. We can provide you with Free Unlimited Boxes and affordable packaging materials you need. As leading removals specialists in Sydney we understand that moving can be stressful so we offer tailor made removals services to suit the specific needs of our clients. We are the Rubbish Removals & skip bin hire company that you’re looking for. We offer a cost effective skip bin hire and Rubbish collection service. Our removals teams are friendly, professional, hard working, approachable and care for your belongings as if they were their own. Your items will be moved with care. Your items will be moved with trust. Our professionals are highly experienced, so you can be stress-free. There are no hidden costs. Everything is upfront. We deliver attentive, superior customer service throughout your move. Do you move pianos as well? Yes, we can move pianos as well. Whether you have a baby grand piano or an upright piano or anything in-between we can help. 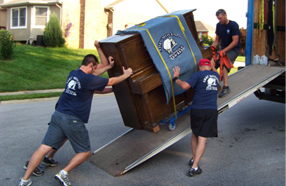 We will secure your piano safely during the move to ensure there is no damage during transportation to the new location. You can either give us a call or fill in the online quote form. We will get back to you shortly with our rates. Do you provide packing and unpacking service on weekends? Yes, we operate on Saturdays and Sundays as well. However, the rate is the same as that of the usual working days. The removals team were very tidy, courteous and helpful, overall an excellent removals service that was well worth every penny (and even more if I’m honest). From the very first call with Unbeatable Removals we were impressed; everyone we have spoken to throughout our move has been friendly, professional and knowledgeable. The removals crew were quick to get started yet offered advice and guidance throughout the move. Nothing was too much trouble for them and they really put my mind at ease from the very start to the very end of the move. Of course I will continue to recommend them to everyone I know. I was recommended to your services to move my piano by a friend and I am so pleased I did. I was really pleased to see your clean and tidily dressed removals people arrive to collect my piano with all the tools and equipment they needed. My piano was taken to my daughter’s house and she called me to say how impressed she also was with your company. Thank you. I cannot thank your removals team enough for their help with my house move, moving from a large 5 bedroom house with 3 small children and a baby on the way was never going to be easy but the removals team you sent were just amazing. They worked very quickly and were lovely with my children too. I was very impressed with the service I received and will recommend you to others. We were really impressed with the service we received from Unbeatable Removals, the van arrived on time and everything went as planned. It was much less stressful than we expected and although we never felt rushed the move was completed much sooner than we thought too, they even put the kettle on for us! Thank you again. I found Unbeatable Removals to definitely live up to their name, their prices were extremely competitive and the quality of service was second to none. A very well named company because I certainly found you to be unbeatable!